Astralis, who have been on a roll off late have a chance to win an extra $1 million if they win the ESL Pro League Season 8 Finals thanks to the Intel Grand Slam which has been running for over a year. According to the rules of the Intel Grand Slam, any team that wins 4 premier titles, which includes ESL, IEM and Dreamhack events, are eligible to receive $1 million from Intel. This, however, is based on a rolling 10 event period, meaning after winning the first event the teams need to secure the other 3 in the next 9 events. 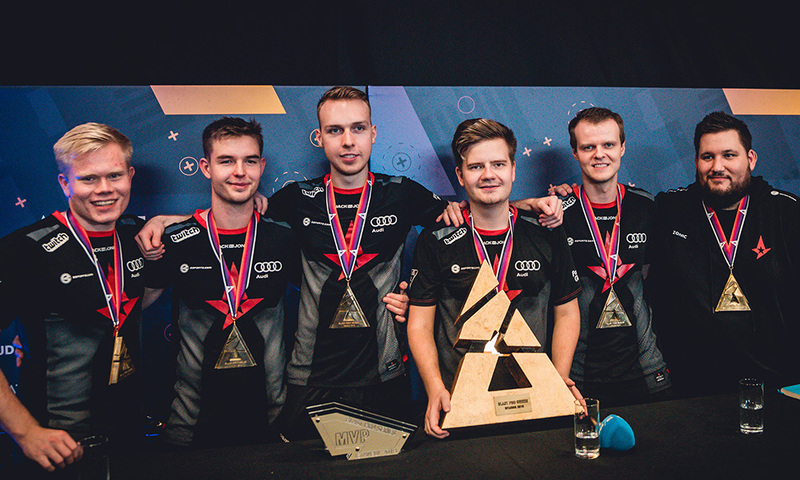 Astralis, who most recently won IEM Chicago, have also won ESL Pro League Season 7 and Dreamhack Masters Marseille 2018 have FaZe hot on their heels who are at 2 wins, and would look to displace Astralis off their perch by making it 3 wins and making it an even more exciting contest. This is, however, not Astralis’ final chance as they can also win the IEM Katowice Major to claim the prize, which could be a fitting way to mark their dominance. Another interesting addition to this format by Intel is that the team that beats Astralis if they reach the final stands to win $100000 which puts another target on the backs of the Danes.